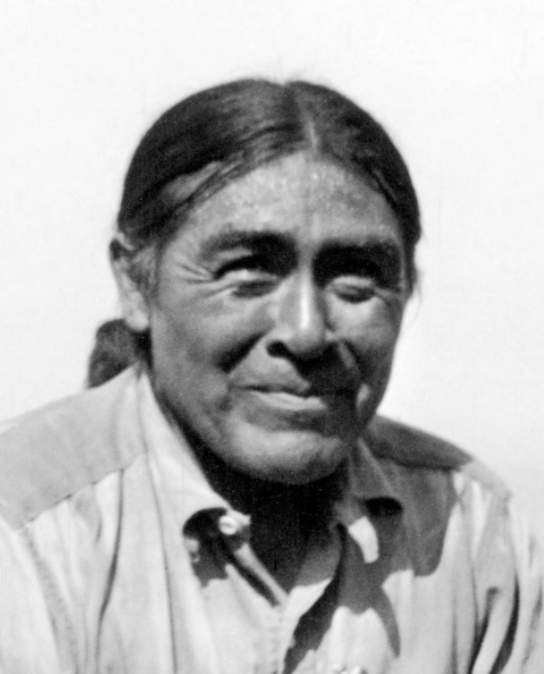 In recognition of Native American Heritage Month, Stay Thirsty Magazine organized a virtual panel discussion on the life, legend and meaning of a man called “Ishi” who walked out of the northern California wilderness in 1911 and is widely recognized as the last of his Yahi tribe of Native Americans. Members of the panel include Orin Starn, Ph.D., professor of cultural anthropology at Duke University and the author of Ishi's Brain: In Search of America's Last “Wild” Indian; Brian Wescott, Native American filmmaker of the documentary Ishi’s Return; and, Steven Jay Griffel, bestselling novelist and author of The Ishi Affair. Each of these panelists responded to questions drafted by Stay Thirsty Magazine and their responses collectively offer an unusual window into Ishi, the man, and the circumstances that surround the history of Native Americans then and now. STAY THIRSTY: Why did you want to tell the story of Ishi? What was the trigger that inspired your work? ORIN STARN: I grew up in California and heard about his story since I was a boy. I began to wonder more about his life, going around Deer Creek and reading everything I could find. The details of his story fascinated me – how he and the other last Yahi survivors managed to hide in the canyon for decades; how Ishi coped with the radical change of being brought to San Francisco and its ocean, skyscrapers, and airplane. Ishi’s story, too, raises very painful questions about the Anglo conquest of California, and its disastrous consequences for native peoples. 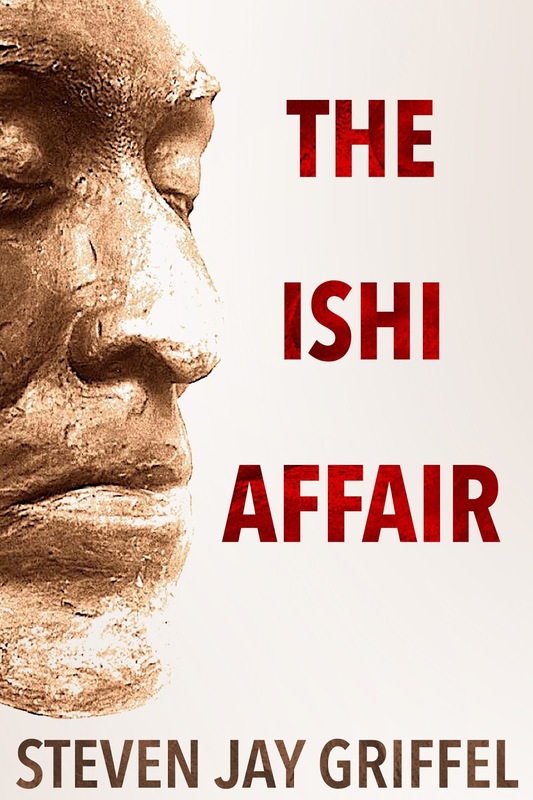 There’s also something universal about Ishi’s journey between cultures, connections, and solitude almost like a pilgrim on the trail to Santiago de Compostela or the devastated King Lear on the cliffs of Dover trying to make sense of life’s impossibility. It’s hard, in a way, not to be drawn to Ishi’s story, for it’s so powerful and connects to so many different issues, big and small. BRIAN WESCOTT: I am continually amazed at the persistent notion that Native people all died out in the late 19th century, or that the “real” and “authentic” Indians were the ones who lived and died before contact with Anglo-American settlers. I myself am a modern Alaska Native person who nonetheless has a radiation AK Yup'ik name bestowed on me in a ritual that has been practiced for thousands of years. I want to be allowed to be both traditional and modern and that's why I wanted to tell the story of Ishi, the supposed last real Indian. STEVEN JAY GRIFFEL: I grew up in a Jewish family. My mother’s father was a cadet under Russian Czar, Nicholas II. As a young teen I learned about the pogroms in Poland and Ukraine that wiped out entire villages of Jews. Led by their parents, my father and his sister escaped Nazi Germany before Kristallnacht. My family who stayed behind were murdered. In 1970, I enrolled in a summer archaeological dig, headquartered at Chico State College in northern California. I was only seventeen, the youngest member. One weekend, when we had no fieldwork, I came upon The Ishi Museum in one of the college’s main buildings. I had no idea what an Ishi was. As I walked about the museum, learning about Ishi and his legacy, I was stunned to discover that the United States government had been guilty of genocidal practices against certain Native American peoples. These practices were partly responsible for the death of the Yahi, Ishi’s people. I was shocked: Genocide—in my own country! That summer I began writing a novel about Ishi and the Yahi. STAY THIRSTY: Considering all you know about Ishi, what made his life so important? ORIN STARN: He’s a powerful symbol of survival, both for Native Americans and, in different ways, the rest of us. There’s also both pain and beauty. His is the story of the destruction of a people. It’s also about creation and mystery, the amazing precision of Ishi’s points and his voice singing to us in a lost language on the recording he made. transition from living a mostly hunter-gatherer life in his homeland to living in a museum in a city is a fascinating and crucial one. He exhibited a remarkable amount of agency while living under the dubious auspices of Dr. Kroeber. Reclaiming the true story of his mastery of cultural transition is pivotal in rewriting the narrative that still insists that all the real indigenous people died out with Ishi. In fact, he had lineal descendants who still practice their religious rituals and who took on the Smithsonian to welcome their beloved forebear home. 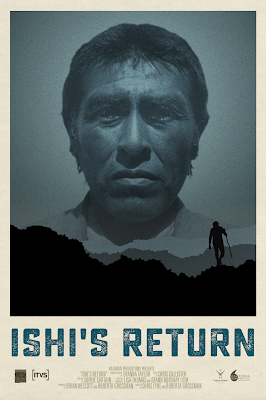 This is a story of ingenuity, resilience, and revival, not the sad passing of the supposedly alone, isolated last wild Indian. STEVEN JAY GRIFFEL: I’m a storyteller, but I’m not the voice of my people. I’m not the last of the Jews. My people’s history—their customs, their traditions, their technology—would hardly be lost if I did not tell my stories. Ishi knew that the story of his people was uniquely his to tell. If he failed, the story of the Yahi would be forgotten. The fact that Ishi met the challenge with such openness and with such dedicated responsibility is testimony to his extraordinary character. STAY THIRSTY: Much has been said about the relationship between the cultural anthropologist Alfred Kroeber and Ishi. Taking into account the historical and social contexts of the times, should Kroeber have acted differently? How would the discovery of a man like Ishi today be handled? ORIN STARN: It’s important to remember that Ishi’s story took place more than a century ago. Kroeber was ahead of his time in some ways. Like his mentor, the great Columbia anthropologist Franz Boas, he believed in human equality. 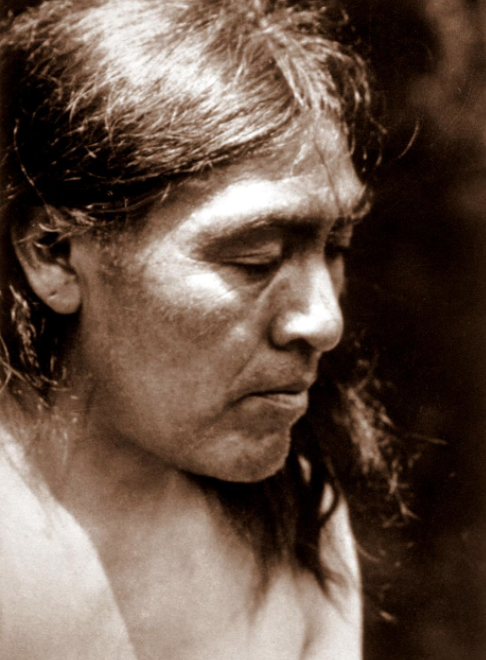 He also saw great beauty in Native California culture at an age when few even knew there were Indians in California and, if they did, regarded them as uncivilized and uninteresting. Kroeber cared for Ishi, and treated him well for the most part. His decision to expose Ishi to so many people, shaking hands at the museum with thousands of visitors, was thoughtless at best. He should have realized that this would make Ishi vulnerable to tuberculosis and other white diseases. (Kroeber’s own first wife died of tuberculois.) He did try to prevent the removal of Ishi’s brain as a trophy of science, but failed. And then, instead of trying to make things right, sent off the brain to the Smithsonian. I think Kroeber, like all of us, was a complex figure, and, despite his mistakes, left an important legacy behind. Many California tribes draw upon his work in cultural revitalization efforts. A man like Ishi discovered now? That’s an interesting thought experiment. I wonder…. BRIAN WESCOTT: Of course I believe Dr. Kroeber should have treated the man dubbed Ishi as an equal human being and not pinned him down in a museum like an insect specimen to be studied and hoarded. But to be fair to him, he was very much a man of his time and in that era virtually all non-Indians were certain that Indians were on the way out and that the best anthropologists could do was race to collect as much information and material artifacts as possible before they all disappeared. Today, with the remarkable resurgence of indigenous power and expression in all aspects of life, storing a living Native person in a museum—not to mention the later, gruesome theft of his brain—would be considered horrifying, appalling and inhumane. We now know that there are enough lineal descendants of Ishi's cultural group who, if Ishi showed up today, absolutely should be allowed to welcome their relative back into the fold and let him choose how to live in this world that is so different than the one he grew up in. Most anthropologists are aware enough now to know to engage indigenous people immediately and let them take the lead on such a situation. 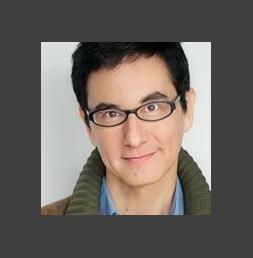 have done—return the middle-aged Ishi to his mountain country and allow him to fend as he pleased? Perhaps. But did Ishi want such freedom at that point in his life? I don’t believe he ever expressed that to Kroeber, even in the Spring of 1914, when he led the anthropologists back to his Deer Creek stomping grounds. 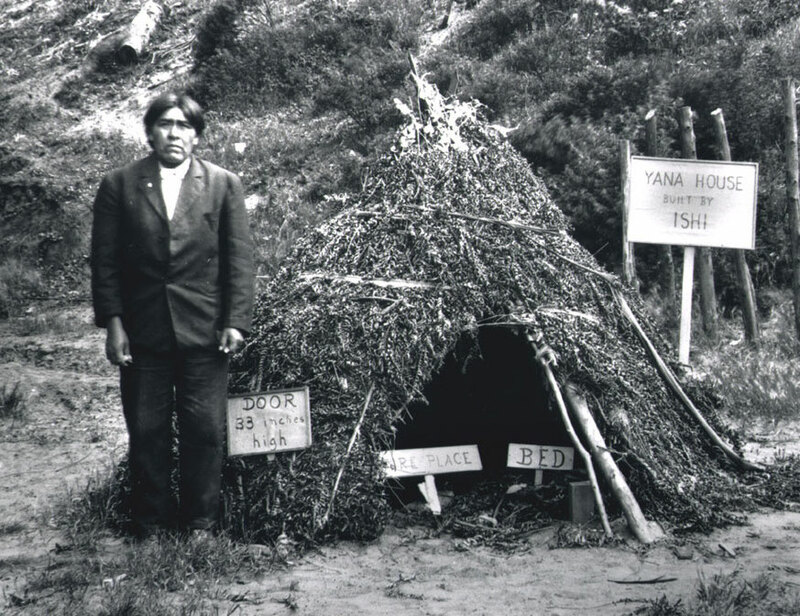 I think Kroeber took a reasonable course—having Ishi live at the museum, letting him build his own teepee on university grounds, encouraging him to share aspects of his culture and his own humanity. If a similar situation played out today, I’d hope that representatives of the Native American community would be enlisted for their advice and assistance. STAY THIRSTY: Alfred Kroeber’s second wife, Theodora, reintroduced Ishi to the American public in the 1960s. How did you learn about Ishi and what part of his story did you want to reveal or clarify through your work? ORIN STARN: I read Theodora Kroeber’s book, and was fascinated by it and Ishi’s story. She was a wonderful storyteller, and, in fact, it’s not surprising her daughter with Kroeber was Ursula K. LeGuin, the great science fiction writer. 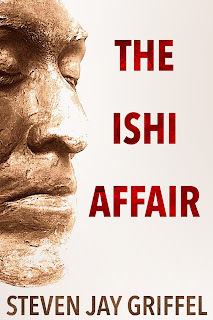 When I delved deeper into Ishi’s story, I began to see the various silences and inaccuracies in her account. A white liberal in the early Civil Rights Movement, Theodora wanted to tell a story of terrible injustice to Native Americans and yet also of reconciliation and healing. She played up the story of Ishi and his white friends to that end. She also left out the less comfortable parts of the tale, including that her husband had sent Ishi’s brain off to the Smithsonian. Theodora took other liberties too, among them overdramatizing and oversimplifying events. It’s a wonderful book even so. BRIAN WESCOTT: I first learned about Ishi from my mother, Dr. Elizabeth Parent, who chaired the American Indian Studies Department at San Francisco State University for 20 years. I remember as a child seeing that book on the shelf and later reading and understanding it. The parts of the story that I most wanted to refresh were 1) that Ishi was not the last “wild” Native person and 2) that his loving lineal descendants reunited his brain with his ashes in an inspiring example of the enduring practice of their religion. STEVEN JAY GRIFFEL: After returning from my archaeological dig I read Theodora Kroeber’s books about Ishi. Over the years I did further research, but I was no longer passionately engaged by the story; my unfinished novel remained in a drawer. The discovery of Ishi’s brain reignited my interest. 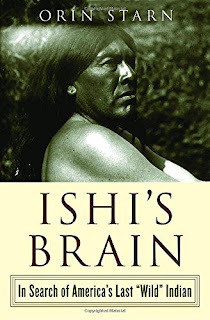 I read many articles about the repatriation of Native American remains, but it wasn’t until I read Orin’s brilliant book, Ishi’s Brain, that I was ready to write my novel—The Ishi Affair—a new perspective on Ishi’s legacy. STAY THIRSTY: If you were addressing high school students about the Ishi story, what central lesson or message would you seek to impart? ORIN STARN: To encourage them to think more about our country’s history, and, among other things, to recognize that native peoples like Ishi’s Yahi were the original occupants of this land. And also to recognize the distinctiveness and beauty of native cultures lost in some cases, like the Yahi, and wonderfully surviving in others. BRIAN WESCOTT: Native peoples, especially California Indians who experienced one of the worst genocides on this continent, are surviving and thriving. Ishi was not the last of them. He was merely the one most famous for stepping successfully into the modern world. STEVEN JAY GRIFFEL: I would tell students that their lives mattered. I would encourage them to write stories about themselves and their family and to share them so they might be enjoyed and remembered. STAY THIRSTY: Why has the genocide of Native American tribes during the 19th century faded so far into the rearview mirror of history? Will the tragedies visited upon America’s indigenous peoples ever receive full reparations? ORIN STARN: We are a forgetful nation. And now in the age of social media what happened yesterday is already ancient history. I doubt, frankly, that we will ever see reparations. Majorities have their way of forgetting, denying, or ignoring their debts to those they’ve dispossessed. 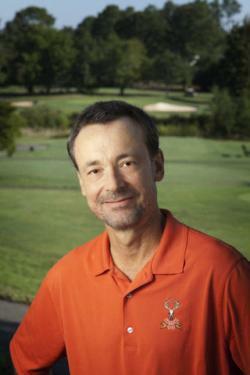 BRIAN WESCOTT: I believe the reluctance to address the genocide stems from guilt and greed. This nation, alas, of which I am a proud citizen by the way, nonetheless has barely scratched the surface of acknowledging what its forebears did to the indigenous peoples whose lands produced the wealth that makes this the most powerful nation on the planet. That's the second factor, the greed that blinds the country to the theft of so much land and wealth that no one wants to give up. Well, I should say almost no one. Once in a while we learn about a non-Native descendant voluntarily returning an important cultural artifact to the tribe from which it was taken (or bought in an arm-twisting fire sale while missionaries were stamping out the cultures). I find these examples incredibly moving. The still-living Native descendants today often remember who made the item, which is regarded as a living being, and welcome that being home. These restorations inspire the ongoing renaissance in cultural pride and craftsmanship among the people. I hope many more of these stories will ensue. Truth and reconciliation need not be a grim duty or guilt trip. It can be an inspirational story of people, Native and non-Native, coming together in a spirit of mutual respect to return lost relatives to their homes. STEVEN JAY GRIFFEL: It wasn’t so much that the story of Native American genocide faded as it was generally untold … or unpublished … or scrupulously avoided in other ways. 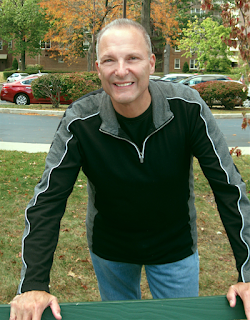 I was a textbook editor for forty years. I don’t remember any mainstream American textbook describing the buffalo slaughter as what it really was: a government-sanctioned genocide of Native Americans. Other than the token story of the Cherokee “Trail of Tears,” the unfair treatment of Native Americans has always been an under-reported subject in educational texts. Simply put, the subject has not been required reading, like the Holocaust. If we don’t teach our youth, we are doomed to forget. STAY THIRSTY: Many Native Americans today seem to have mixed feelings about mainstreaming into American society. Does the story of Ishi help to preserve the importance of ancient ways in modern life? ORIN STARN: The richness of his knowledge – whether singing, storytelling, intimacy with the land – is great inspiration to recognizing the value of traditional ways. Yet Ishi was also pragmatic and adaptable. He liked donuts and coconut cake. He chipped some of his most beautiful points from bottle glass. BRIAN WESCOTT: Yes, I believe the example of Ishi insisting on living out the end of his life his way is a great affirmation that Native people can maintain their way of life in the contemporary world. I must admit I find the grim premise of the question a bit disconcerting. Yes, many Native people keenly feel the loss of their languages and traditions, which no doubt fuels the alienation and fragmentation that plague so many of our people and cause many health and socioeconomic problems, but at the same time I and many others are inspired by the unexpected and increasing revival of so many aspects of our traditional cultures. Jessie Little Doe Baird winning a MacArthur “genius grant” in 2010 for her astonishingly successful initiative to revive the long-dormant Wampanoag language in Massachusetts (based on the Wampanoag bible translated at the Harvard Indian College in the 17th century) is one great example of people rediscovering and reactivating their traditions. Ishi's descendants welcoming him home in a religious ritual very much akin to those of his own specific tribelet also inspires hope in the unexpected re-emergence of long-suppressed traditions. Meanwhile, new inflections of tradition—along with fresh kinds of art, theater, music, rapping, spoken word, dance, movies, video games, new media, etc.—also show that the creative spirit of Native people is alive and well in any medium you can think of. If he arrived in a time machine today, I think Ishi would be pleasantly surprised at how much creativity and resilience indigenous people have summoned after surviving an unspeakable genocide. STEVEN JAY GRIFFEL: Hmmm. I thought this question would be easy to answer, but the more I think about it, the more complicated it seems. For one thing, I don’t think that mainstreaming necessarily means the relinquishment of traditional values and customs. There are always degrees and individual ways by which such transitions are effected. Also, for me—and I’m not a Native American or an anthropologist—but the most important part of Ishi’s story is not the preservation of the ancient Yahi ways. We have other records of flint-knapping and bowstringing, and while it’s nice to know how the Stone Age Yahi used acorns as a dietary staple, or how they tattooed their faces with sharp quills and charcoal, such details, however colorful and interesting, are not my most memorable takeaway. For me, the most important aspect of Ishi’s story is the recounting of his humanity, his capacity for forgiveness, his generosity of spirit, his desire to learn, and his desire to share what he knew. Ishi is the story of a desperate man who heeded his better angels. It is this story that is relevant to modern life. STAY THIRSTY: If you could pursue another Native American subject for your next project, what would it be and why? ORIN STARN: I’m finishing a book now about the Shining Path guerrilla movement in Peru. There native history is very different, among other things there are more than eight million speakers of Quechua, the ancient Incan tongue. But there are also great similarities in indigenous experience across the Americas. I sometimes think of Ishi when I’m in a village in the Andean high country, wondering what he would have made of Peru. BRIAN WESCOTT: Native American skateboarders and other alternative sport athletes, because they are using these unexpected activities to find a healthy rush as opposed to the drugs and alcohol that plague so many young people. STEVEN JAY GRIFFEL: Because of my particular interest in words and language, I might write about Se-quo-ya, a member of the eighteenth-century Cherokee, who created an effective writing system based on an “alphabet” of spoken Cherokee syllables. I find this story utterly fascinating and inspiring.